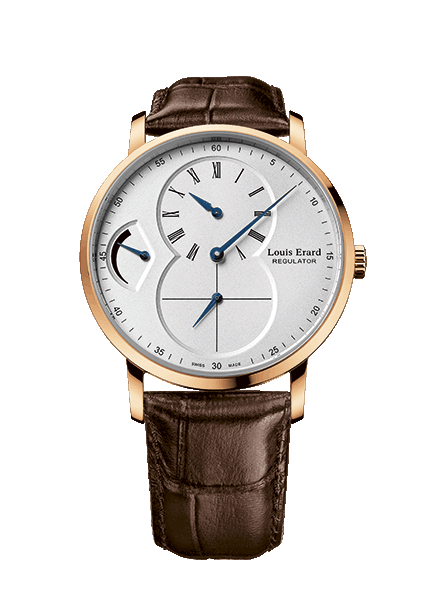 I admit I wasn’t all that familiar with the brand Louis Erard, but it isn’t a new kid on the block by any means. It actually has quite a history, dating from 1931 and even crossed the threshold of producing 100,000 watches in 2008, which was a banner year. 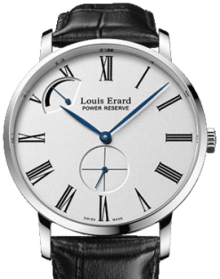 While many companies merely case up watches using ready-made movements, Louis Erard does not. Though it isn’t a movement maker, 2008 saw the unveiling of their own in-house power reserve module. To show its commitment to classical horology, Louis Erard only produces mechanical watches, but it’s the hand-wound watches that are a favorite and therefore these get the privilege of the modules. This year the company, located in Le Noirmont, is having a birthday and what better way to celebrate than to give yourself and your customers a present. In honor of its 80th year, the brand has added Excellence to its portfolio, launching it at Baselworld 2011. 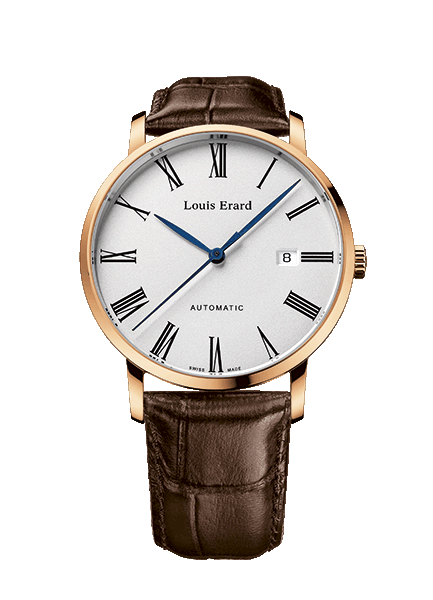 With the addition of this line, Louis Erard now has a total of four collections: Excellence, 1931, Heritage and Emotion. 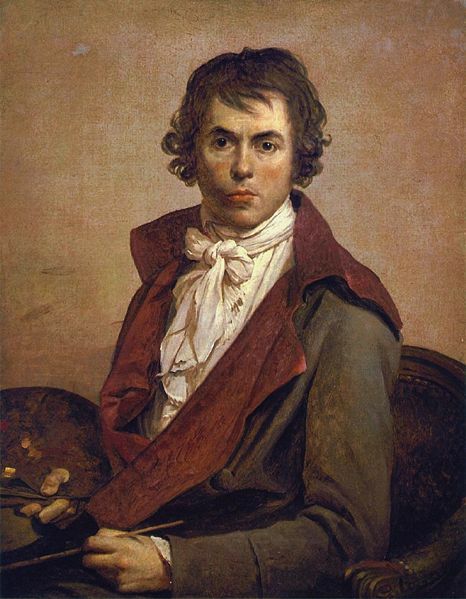 Exemplified by the paintings of Jacques-Louis David, the Louis Erard Excellence line takes inspiration from the Neo-Classical period with its elegance and clean lines combined with modern details to reflect current tastes. 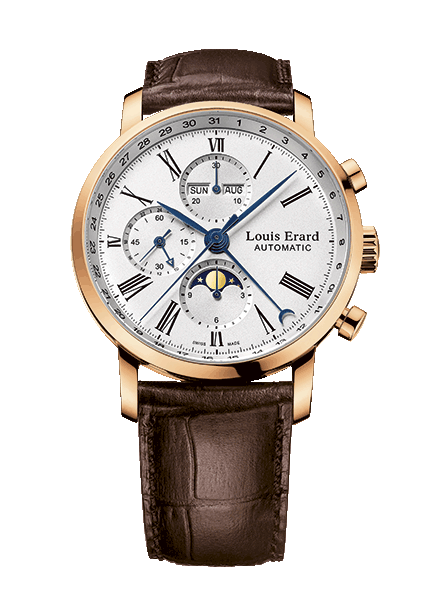 It is marked by elements such as a round case, understated white dial, hour-markers and Roman numerals. Within the collection are seven models: five for men and, not forgotten, women get two to choose from. The men’s include the Power-Reserve display and Regulator or simple Power-Reserve variations, a chronograph with moon phases and 24-hour indicator, and time-only iterations. All are offered in a 42mm steel or rose gold. 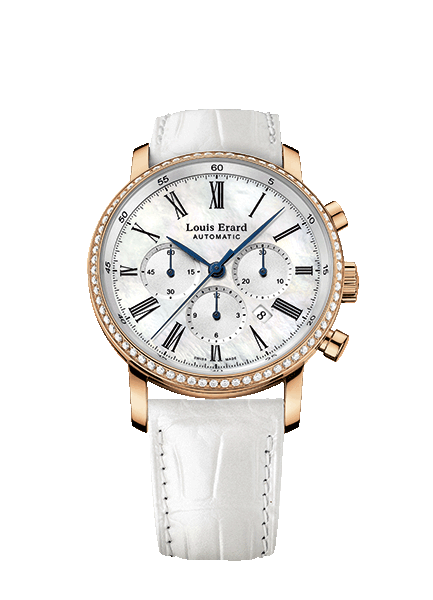 The ladies receive a sporting chronograph that is sprinkled with diamonds around the bezel, giving it some glam and sparkle. In a tri-compax layout, the dial with a window at 4 o’clock comes in white or white mother of pearl, while the 36mm case is in red gold or stainless steel—the look completed with a white leather strap. All of the models are attractive, but the men’s piece that stands out is the regulator. The off-center hour indicator at 12 o’clock harmonizes well with the large seconds dial at 6 o’clock, while the power reserve provides a nice balance to the Louis Erard insignia at 3 o’clock. Though the men have more styles to place on their wrist, these are so classic and pure that I wouldn’t be surprised if women took these 42mm as their own. If you want to purchase a good watch, there are a plethora of possibilities at your disposal. But, you might have to dig deep into your wallet to get the complications and quality you desire. Louis Erard prides itself on producing watches that not only contain good mechanics at affordable prices but also in-house designed modules, making technicality in reach. Gevril Group is the US agent for Louis Erard. You can email us or call 845-425-9882.